We have partnered up with eBay for Charity and our partner Community Aid and Small Enterprises Consultancy (CASEC) to implement the second phase of our Dare2Dream: Beds for Girls project which empowers girls by giving them a bed for the night near school. Our overall goal is to buy 85 bunk beds so 170 schoolgirls have a safe place to sleep and can continue their studies. Lack of a bed leads to pneumonia (it can get exceedingly cold at night in the East African Rift Valley) and malaria (there’s no bed frame on which to attach a mosquito net). It also leads to poor education performance and girls dropping out of school. In the remote north of Tanzania, a bed can truly be a springboard to changing lives. 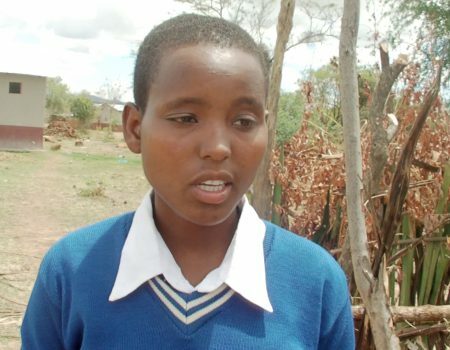 Many Maasai and other pastoralist girls have to walk 10-22km to get to their nearest school. The journey is not only exhausting but dangerous – there’s the constant threat of attack by wildlife or by young Maasai warriors determined to prove their manhood by sleeping with a virgin.